Joan is the bride whose mother took off with the groom. 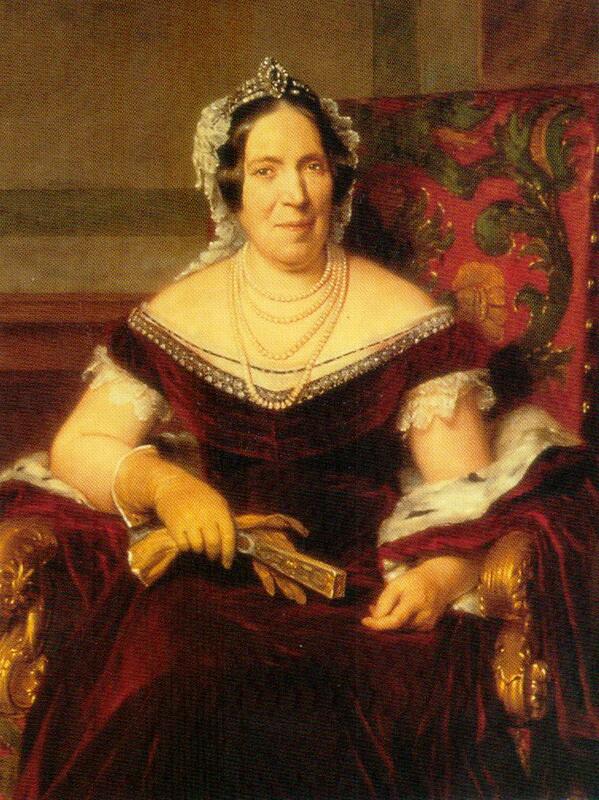 In this case, the frisky mother was Isabelle of Angoulême: a widowed queen on the look-out for a new husband. But as Joan was only ten at the time, it can’t have been too much of a snub. She probably wasn’t that close to her mother anyway. 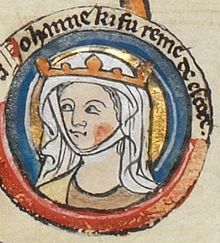 Joan was born in Gloucester on 22 July 1210. The infant was soon moved into her own quarters with her nurse, Christiana, which immediately put distance between her and her mother. 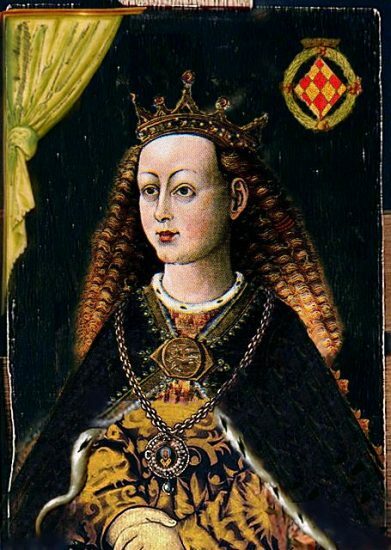 From the beginning, Joan was a pawn in her father’s game of thrones. He was the notorious King John (reigned 1199-1216) the villain of Robin Hood and Magna Carta fame. By the time she was two, she was betrothed to another child of royal blood – Alexander, the twelve-year-old heir to the throne of Scotland. 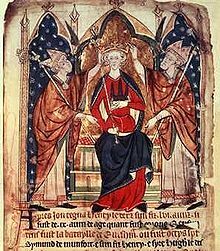 Then two years into the engagement, King John found his daughter another husband, this time in France. The new groom was Hugh of Lusignan, Count of La Marche in south-west France. Which is why, at the tender age of seven, Joan left England to join him. Her mother came with her, but not out of any particular maternal instinct. King John had died the previous year, 1216, leaving Isabelle a newly minted widow. The Queen saw no future for herself in England. She was never meant to go there in the first place. 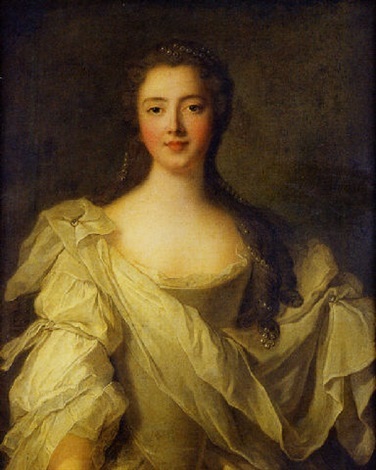 As a child, Isabelle was betrothed to the old Lord of Lusignan. Had King John not stepped in, that marriage would have gone ahead. But now John was dead; so was the old Count and his son (so nearly Isabelle’s stepson) was waiting to marry her daughter. Going back to Angoulême, where she was Countess in her own right, and Isabelle could be mistress in her own house – with the added bonus of little Joan as her new neighbour. The plan fell apart when Queen Isabelle arrived home, completely overshadowing her daughter. It didn’t take long for Hugh to realise he was wasting his time waiting for Joan to grow up when the mother was back on the marriage market – a queen, rich, fertile, and the right side of 30. In 1220, Queen Isabelle married her daughter’s fiancé – ostensibly to save little Joan from the perils of early marriage and childbearing. “God knows”, Isabelle wrote to her son Henry III in England “that we did this for your benefit rather than our own”. Outmanoeuvred, the English government resurrected the old plan to marry Joan off to Alexander, her first fiancé. The problem, of course, was that the bride was not to hand. No matter how much the government demanded Joan’s return, Hugh and Queen Isabelle held all the cards. They used the little princess as leverage to strike a good financial deal, and even then only handed her back when the Pope got involved. But Joan’s mother and new stepfather could not be persuaded to return her dowry, which stayed with them in France. Back in England, Joan had a few months to get reacquainted with the rest of her family. Then she travelled north to meet Alexander, ten years her senior and King of Scots. The couple were married in York on 19 June 1221, with the English king paying for three days of celebrations. The marriage sealed the new friendship between the two kingdoms, with Joan at the heart of not one but two royal families. The Scottish chronicles described how their “lord king returned to his country a happy man with his wife”. While no one expected an eleven-year-old girl to produce a child, expectations were higher ten years on. We are told Joan had grown by then into “an adult of comely beauty”. But still, there was no child. This meant that Joan had no real ties to Scotland beyond her husband, and Alexander’s need for an heir was starting to put the marriage under strain. Joan was very close to her brother King Henry III, who was only three years her senior, and he gave her the means to live independently in England as and when she wanted. Henry himself was married to Eleanor of Provence, although that marriage showed no sign of a child either. In late 1237, the two sisters in law went on a pilgrimage to Canterbury. Both young queens prayed for an heir. The difference was that Joan, of course, had no chance of conceiving when she was so far away from her husband – and she had critics even in England who thought it wrong for a wife to live so far from her husband. Even so, Queen Joan spent Christmas in England. Her family gave her new robes and wine for the festive season. She was preparing to return to her husband when she fell ill. Joan failed to recover and died on 4 March 1238 with her brothers at her side. She was only 27. As Queen of Scotland, Joan’s body would normally be returned there for burial. But she asked for her body to go to Tarrant Abbey on the south coast of England (which is as far from Scotland as is geographically possible). The feeling was mutual and, not surprisingly, she was soon forgotten in her husband’s kingdom.